Torture Chamber are a band from California that plays a very raw and misanthropic form of black metal and this is a review of their 2014 ep "Qayin" which was released by Black Lion Productions. A very raw and old school black metal sound starts off the ep along with some high pitched screams and brutal blast beats and all of the musical instruments have a very powerful sound to them along with some open note riffs that bring in more of a dark atmosphere to the songs and the band also brings in a good mixture of slow, mid paced and fast parts. At times deep death metal growls can be heard in certain sections of the recording and some of the songs also bring in a decent amount of melody as well as adding in an influence of thrash at times along with most of the tracks being very long and epic in length and a couple of the songs also bring in a brief use of clean playing before making a return back to more of a raw and chaotic black metal direction. Torture Chamber plays a style of black metal that is very raw and misanthropic with some war metal elements while also having a good sense of melody at times, the production sound s very dark and raw while the lyrics cover Luciferian, Occultism, Blasphemous, and Misanthropic themes. 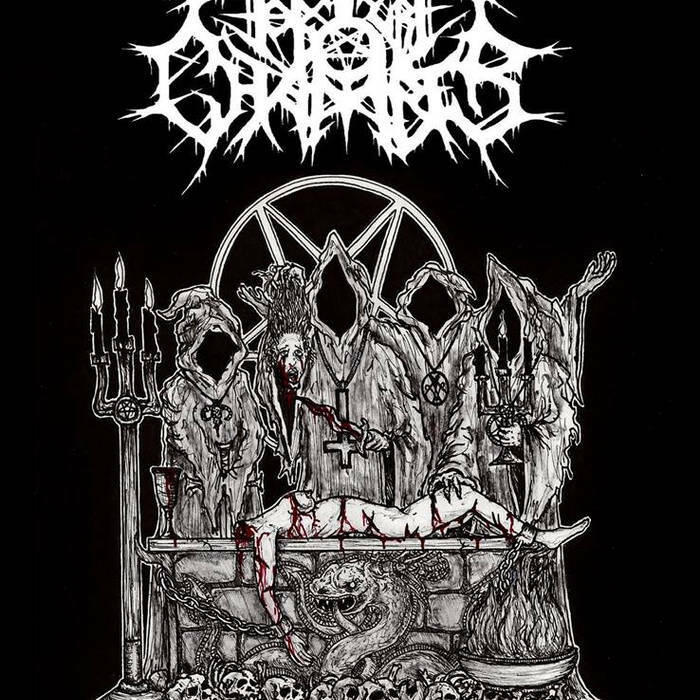 In my opinion Torture Chamber are a very great sounding raw and misanthropic black metal band and if you are a fan of this musical genre, you should check out this ep. RECOMMENDED TRACKS INCLUDE "Defiling The Throne" and "Drowning In the Blood Of vermin". 8/5 out of 10.